Part of a Criminal family. Total Scam, 72 options, part of the Ivory Options criminals, this is organised crime from the sewers of Tel Aviv, this is systematic theft from the Tel Aviv Mafia, keep away at all costs. These guys are 100% scammers. They have stolen £33000 from me and now do not reply to my calls or emails. Even though my account has over £100,000 of their fake money in it they will not let me withdraw a penny. I was lied to from the beginning and they are not regulated so have no ability to trade anyway. Its a video game. STAY CLEAR! Jan 16, 2018 - No Rating The guys are 100% crooks. Scammers and nasty pieces of work. You will not get your money back from them. Please stay well clear. Dec 18, 2017 - 1 Star 100% scammers. DO NOT EVEN DIGNIFY THEM WITH YOUR TIME! Currently trying to recover my stolen money. 72Option is a big big scam. AVOID, AVOID, AVOID! I as scammed by 72Option, Please help! 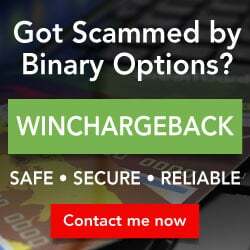 After registering a binary trading account with 72option, I initiated a deposit the minimum account requirement of USD250 upon a call from the company representative who claimed in email that 72option is a broker. After that I kept receiving calls from 72options pressurizing me to deposit new fund for trading. I explained to them that I had zero experience and they said that they would instruct the trades. The trades will be risk free and bonus will be issued if the trade is at loss. They didn’t disclose any terms and conditions of the risk free trade or bonus throughout the process. They only sent the risk free agreement and bonus agreement to me to sign after they instructed the loss trades. If the terms and conditions were informed in advance, I would never agree on the trades. Between October, 2017 and November 2017, I have initiated 6 transactions totaling USD22250 to 72option. I have made a few requests for refund the deposit from the 72option website but were all cancelled.